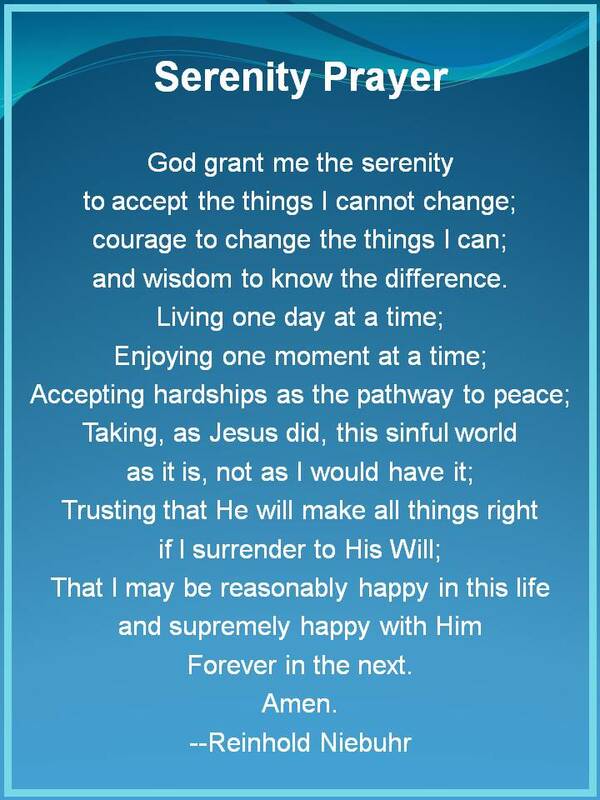 AutismWonderland: When all else fails, I say a little prayer. Last night after The Boy fell asleep, I sat on the sofa with The Husband and started to cry. "It shouldn't have to be this hard." And The Husband, put his hand over mine. "It'll be okay, babe." Because that's what he says when he's run out of words of consolation. I am not a religious person. I don't go to church or really believe in God even though I was raised Catholic, taught Sunday School (while in high school) and worked at a Rectory. I'm pretty much an Agnostic, borderline Atheist. But this isn't about God or Jesus. It's about faith. It's about the power words can provide when you are searching for serenity. 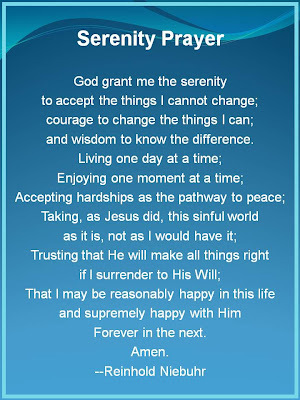 That is where I am today, because I've been saying this prayer all morning (well...skipping the last 5 or 6 lines because like I said, I am not a believer). I can't force people to do the right thing when it comes to The Boy. I know I am doing the right thing. I know I am doing all that I can for him. Now I will just need to have faith.